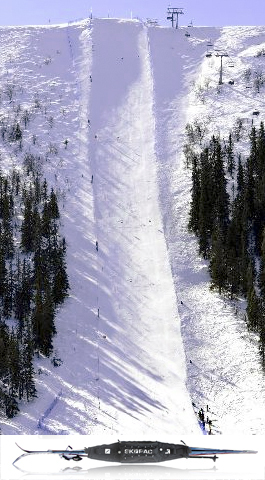 150 000 people were watching when 75 participants were running up the steepest slope in the Swedish resort Sälen (500m long and 45º steep )! All the way up they had to carry-with their individually chosen equipement to be able to ski down the same slope. Sofia chose to run with a SKIPAC with her mums old telemark skis !